I finally got reflux and heartburn after all these years. I have newfound respect for those of you who deal with it! Writing about it is one thing, experiencing it is totally another. For me, I traced it to drinking shots of yerba mate for energy. I would drink the little shots a few times a week for more brain power. Yerba mate (Ilex paraguariensis) triggered the pain. Then I noticed that 20 minutes after drinking one tiny glass bottle of it, I would get terrible heartburn and pain in my esophagus. Belching too. It happened three times that week and then I made the connection. It was a major Aha! Anyway, about this heartburn and reflux. I didn’t go straight to famotidine (H2 antagonists) or omeprazole (Prilosec, a popular PPI med). I started out with natural remedies to see if that would calm things down. This was my strategy and it worked! For me, the yerba mate was the problem. I suspect that some of the essential oils I was swallowing by mouth might have also contributed but I am not sure of that one. I’m back to diffusing the essential oils, not ingesting them. If you can find out what triggers your pain, then discontinue it. This is going to be temporary for me, but for the past week, I’ve given up spicy mayo, cayenne and black pepper and even vinegar in the hopes that my esophagus will get a rest. None of these were triggers for me, but I am sure they didn’t help. Also, I noticed if I drank very hot coffee or tea, it would hurt. I stopped drinking hot tea. The news on hot tea is bad. According to the article published in International Journal of Cancer, drinking tea daily that is about 140 degrees had a 90% higher chance of developing esophageal cancer. That’s crazy high. Drink it lukewarm, not too hot. I stopped drinking plain water, and started drinking ‘marshmallow water.’ I’ve posted a video on youtube called “Health Benefits of Marshmallow Root” and you can watch that to see how easy it is to infuse your water with marshmallow root. This is a natural demulcent that is soothing to the esophagus and entire intestinal tract. You put about 1 tablespoon of dried root (per cup of water) in a glass jar with cold water. In a few hours, you have a water that is now somewhat thicker, and this recipe preserves the mucilaginous properties of the marshmallow which coats and soothes delicate membranes as you drink it. Mastic Gum is a resin that is extracted from a tree. This is sold as a dietary supplement and I took 2 capsules twice daily. Follow directions for your own brand. It’s used as a natural remedy for many intestinal and bowel disorders including indigestion, acid reflux, inflammatory bowel disease, gastritis and ulcers. I knew it would help me with my esophagitis and reflux so I took this. Mastic gum has been studied, and in 2010, people with dyspepsia found significant relief from their heartburn compared to control participants. This is a dietary supplement that is made synthetically that chemically ties together a zinc molecule to a carnosine molecule. When it comes apart indoor body, both ingredients help with gastritis and ulcers. Since the mid 1990’s this product has been used successfully for the treatment of Zinc carnosine supplementation has been shown to help protect the gastric mucosa against ulceration, and may help people with gastric and duodenal ulcers. The tissue healing effects come from both compounds. The zinc is required for tissue repair and intestinal inflammation. The carnosine is a small protein that acts as an antioxidant that helps adhere to the ulcer (site of injury). 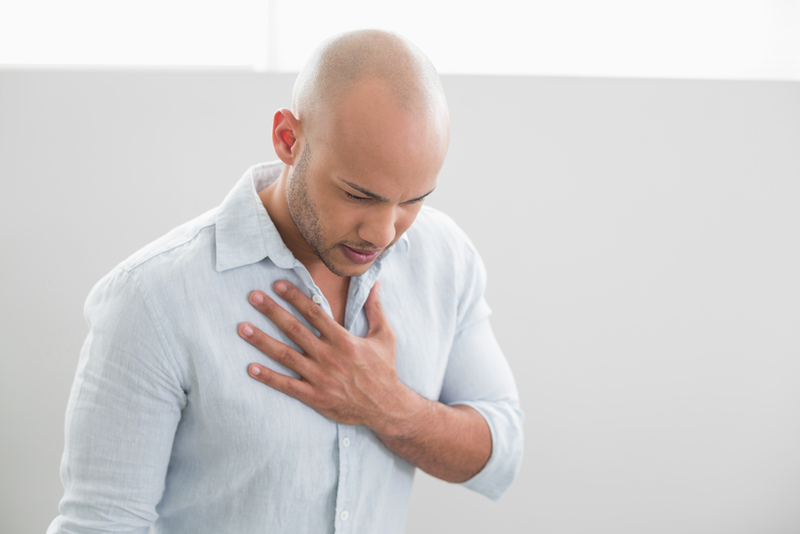 Symptoms of esophagitis vary from person to person but may include some (or all) of the following: Swallowing food and then experiencing mild pain in the chest or throat, sometimes the sensation that something is stuck in the throat or sternum, early satiety, belching, mouth sores, heartburn, reflux and mild nausea. Symptoms of an ulcer in the esophagus could look the same too, because it will cause all of these symptoms as well. Ulceration in the stomach or intestines is a whole other story. Think duodenal ulcer. The pain is much lower, and it feels more like burning in the stomach. Sometimes this is caused by an infection such as Helicobactor Pylori. I wrote an article a few years ago about this, you can CLICK HERE to read, Advice for Ulcers and H. Pylori. Most people with these symptoms seek a physician who prescribes an acid blocker, or sends you to the pharmacy for the over-the-counter version. And after a few sleepless nights last week (after the yerba mate incidents) I can totally see why the pain would drive you into a doctor’s office! There’s no judgement here. I am just holistically minded, and solution oriented and the fact is, acid blockers do not directly soothe, coat or heal the fragile mucosal lining. There mechanism of action is rather specific, and temporary. They are great at suppressing acid, or production of acid, which in turn, gives your esophagus a rest from the back flow. I think two steps ahead, and I want the solution so it gets fixed… so for my particular case (and I’m not saying this right for all of you, this is just my experience), I went directly to the tissue-healing remedies. I wanted something that would coat, soothe or attempt to patch up the raw area. I did not have an overproduction of acid either, my esophagus was irritated by the caustic mate, compounded with swallowing essential oils… so I want to be sure that you understand the symptom of “acid reflux” has many causes and the actual cause should be treated, and YES sometimes medications are needed, but not always. The use of medications is between you and your physician, I can’t help you decide. In case you’re suffering with this, mild and temporary esophagitis can sometimes and often heal without intervention if you simply discontinue the offender, which by the way, could be smoking, drinking hot beverages, spicy food or excessive consumption of alcohol. It can also heal with tissue-soothing remedies. For me, the offender was yerba mate shots and in case you’re wondering, I drank the shots at room temperature (or refrigerated), they were not hot. If you’re not significantly better within a week on natural remedies, please go see a specialist and get a complete work up to make sure there is no other underlying cause for your reflux and gastritis. And it would be an omission to NOT mention that some cases of reflux are due to low acid, not high. In these cases, taking acid supplements (betaine hydrochloride) with your meals could be helpful. You can see why determining the root CAUSE of your pain/illness is so critical and it allows you to treat yourself correctly. In the case of esophagitis, the use of betaine hydrochloride would be contraindicated. If you’d like to watch a video I made a few years ago about that very thing, you can CLICK HERE.